A collector for every need! Since ALCOR is an exclusive Dealer / Distributor of Aquatherm/Solar Industries solar pool heating products, you will be getting the very best in the latest solar pool technology. 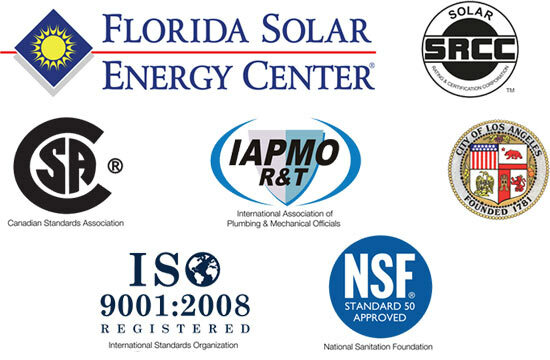 Solar Industries manufactures all collectors and system components under one roof at its 50,000 sq. ft. Lakewood, NJ headquarters. The first and only solar pool heater to meet NSF-50 standards! Aquatherm/Solar Industries collectors are made from a specially formulated polymer compound designed to withstand extreme exposure to weather, pollution and oxidation and are impervious to all pool chemicals. 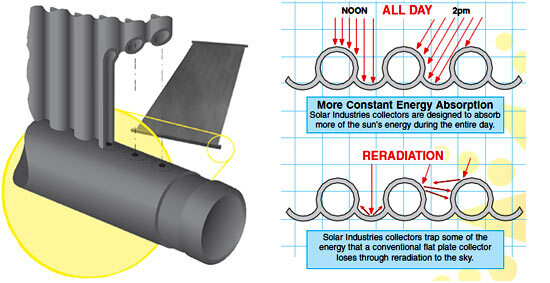 The Sun-tracking tube & web design maximizes heat gain earlier in the morning and later in the afternoon. Direct-Flow Design: Metered flow for better system performance with today’s high-flow, high-efficiency filtration systems. The Most Tested, The Most Trusted. "It's been almost 6 months now since you installed our solar system. It performs flawlessly! Your honesty and professionalism is to be commended in this day and age in regards to contractor / homeowner relationship. 'Call Al at ALCOR. He uses only the best products and installs on time AND he stands behind his word'. "